This DVD is the first and only comprehensive guide to the mammals of Great Britain and Ireland. This twin DVD pack running for approximately 3 hours sets out to provide you with the information to identify any of the terrestrial mammal species found in Britain including all of our bats. This guide also includes Britain's breeding Seal species plus the Whales and Dolphins found in British coastal waters. 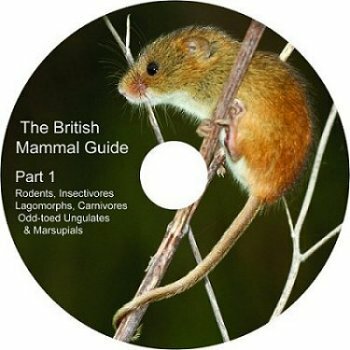 This film "The British Mammal Guide" is a comprehensive DVD (Region 2) guide to all of Britain's mammals. It includes photographs of tracks and signs, distribution maps plus helpful diagrams and photographs of the more difficult to identify species. 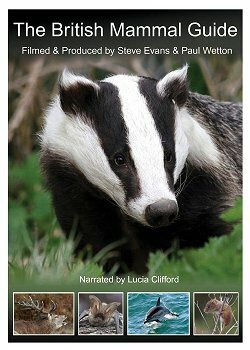 However, it is the superb close up broadcast quality footage of each of our British mammals that makes this DVD guide such an excellent addition to anyones wildlife collection. Please take a look at the Contents page to see the list of Britain's mammals shown on this video DVD. The guide shows 45 terrestrial mammals, 18 bat species, our 2 seals and 13 types of cetaceans (Whales and Dolphins) found around the coast of the United Kingdom (UK). The three hours of fantastic footage can be watched in its entirety or can be accessed from an integrated menu system allowing the DVD to be used as an identification guide, showing each species at the touch of a button. 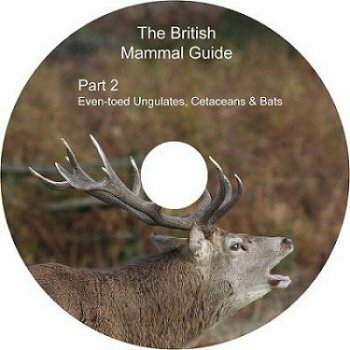 What's on "The British Mammal Guide"
Please take a look at the Contents page to see which species of British mammals are included on this guide. What People Have Said About "The British Mammal Guide"
To find out what the experts think about this DVD please take a look at the Reviews page. Please take a look at the Gallery page for examples of the footage shown on The British Mammal Guide.